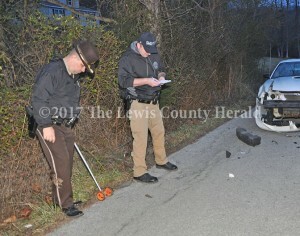 A 31-year-old Garrison man has died as the result of injuries sustained in an accident on Rock Creek Road Monday evening. Sheriff Johnny Bivens said the accident involving a motorcycle and a passenger vehicle happened about 5:15 p.m. Monday on Rock Creek Road just south of Ky. Rt. 8 at Kentucky Heights.